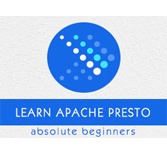 What is Apache Presto - Configuration Settings? This section on Presto will discuss the configuration settings. Presto Verifier is used to test Presto against another database (such as Oracle), or to test two Presto clusters against each other. First we need to open MySQL server and create a database using the below command. Now we need to create “test” database in the server, creating a table by loading it with below query. Here, in the query-database field, enter the following details − mysql database name, user name, and password. Now the version “presto-verifier-0.149-executable.jar” is downloaded on our machine. Let’s create a simple table in “test” database using the below query. Execute the following sample query in the verifier terminal (./verifier config.propeties) to check the verifier result. As select * from mysql.test.product query refers to mysql catalog, where test is database name and product is the table name. Presto server is used to access mysql connector in this way. Now, to see the performance we need to test two same select queries. In the same way, performance results are tested by running other queries. We can also connect two Presto clusters to check the performance results.